Did you hear the one about Steve Jobs on a golf course in Japan with a Sony Vaio? Did Steve have a soft spot for Sony? Steve Jobs once batted his eyelids at Sony with a view to an unlikely partnership with Apple's Mac OS X software, according to the former president of the Japanese giant. In a story that almost defies belief, Kunitake Ando recalls playing golf with other Sony executives in 2001, only to find the late Apple boss visionary for him at the end of the course. Not only was Jobs lying in wait he was eagerly clutching a Sony Vaio laptop, according to Ando, running on the brand new Mac OS X software, which launched that year. Apple had long since closed the door on other manufacturers, but was "willing to make an exception" for Sony's then-impressive range of personal computers. 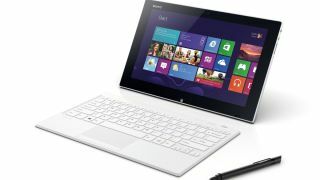 Japanese journalist Nobuyuki Hayashi, who brought the story to light this week, claimed Job's desire to offer Mac-software compatible Vaio's received serious consideration at Sony. However, as Hayashi tells it, the plan ultimately came to nothing with Sony's Windows sales taking off and the company's board questioning whether it was worth the hassle. Do you believe the assertions coming out of Japan that Jobs had a crush on Sony? Let us know your thoughts in the comments section below.